Summertime and the months surrounding it are perfect for hitting the beach, town, trail, or lounging around camp. And while shoes are cool, we’ve found that solid hiking sandals can give you the protection and traction you need without the weight, fabric, and suffocating heat of your standard shoe. The hiking sandal category of gear has become go-to footwear in recent years, with entire thru-hikes taking place in a pair (or four). Strap into some interesting webbing, check your activity level, and read on to see the best hiking sandals of 2019. Hiking sandals come in many shapes and sizes. Not to mention colors. The Chaco Z/1 Classic sandal is named “Classic” for a reason. This is the original model of Chaco — the one built for river crossings that’s now used by all walks of life. This Chaco model is known for its extreme comfort, with the trademarked LUVSEAT footbed, which is certified by podiatrists. The webbing is minimal but strong, and is adjusted in the midsole of the shoe to keep the lines clean. Chaco started making its own soles in 2017, moving away from Vibram, and the “new” Classic utilizes their ChacoGrip outsole. This sandal is extremely beefy, rugged, heavy, and comfy. Read the full Chaco Z1 Classic review! The Chaco Z1 Classic is, as the name implies, a classic hiking sandal. Redesigned recently with a new ChacoGrip sole, the Z1 Classic is know for incredible comfort, grip, and durability. Take these sandals on the trail, across rivers, and around town. The Bedrock Sandals Cairn 3D Adventure are some of the hottest new trekking sandals around. Bedrock Sandals is fairly new, and makes minimalist sandals designed for backpacking, hiking, and casual use. 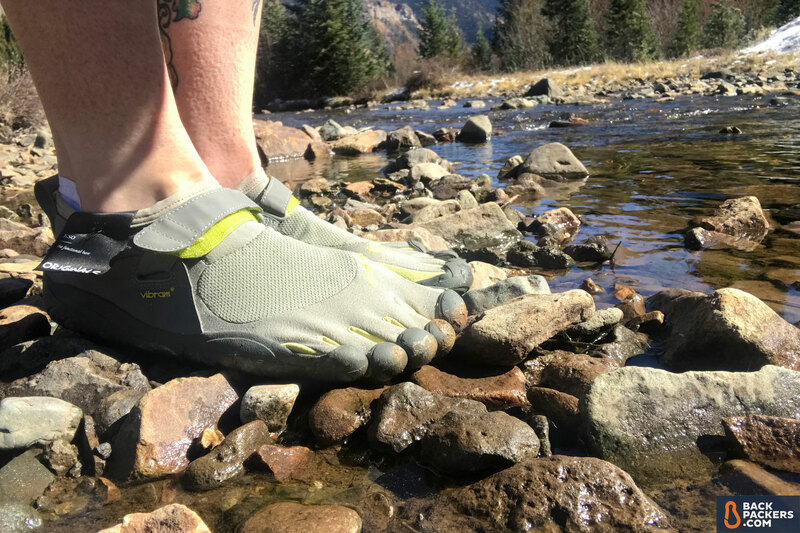 The Cairn 3D Adventure uses a sculpted footbed to give a tiny bit of arch support and grip (still very minimal though), and an excellent strapping system with a toe-post to lock in the perfect fit. The soles are beefy, grippy, and will last. The color options and design are a nice touch and make this sandal (in our opinion) suitable for the trail or town. Read the full Bedrock Sandals Cairn 3D PRO Adventure review! The Keen Uneek is a strange, surprisingly comfy sandal with a very distinctive look. Keen uses a zig-zag of polyester braided cord and microfiber material for the entire upper, which allows for the easy breeze of a sandal and and protection of a shoe. The sandal does decently in water and the upper dries pretty fast, though dunking completely is not advised. The footbed is comfortable, and the PU midsole gives firm support where many other sandals are softer. The outsole is not meant for real hiking, and we find this a useful shoe for warm months. Wear around town, camp, on the beach, or go for a light hike. Read the full KEEN Uneek review! The KEEN Uneek sandals are unique alright. The hiking sandals use a thick, in-house sole that’s supportive and has basic traction and a unique cord-rope mesh top which helps to hold in your feet, is surprisingly breezy and comfy, and holds up well over time. These sandals are a bit of a fashion statement, and work well on casual walks just about anywhere. The Teva Hurricane XLT 2 is an updated classic from the original XLT. The sandal is known for a comfortable, complete strap system that hugs your heel and ankle. The heel strap has been updated for comfort, and the sole is now grippier than the previous version. The footbed is soft, and there’s no toe-post, for those that don’t like that! Overall a great sandal for hiking and around camp, but we wouldn’t backpack in them. See the full Teva Hurricane XLT 2 review. Read the full Teva Hurricane XLT 2 review! The Teva Hurricane XLT are open-toe, 4-strap hiking sandals that can take on trails or water with ease. They don’t have a toe-post, have been updated for increased grip and a softer EVA midsole. If you want a pair of do-it-all hiking sandals this is a good place to start. The Vibram KSO Five Fingers are a barefoot shoot that helped to create a movement. These shoe/sandals are incredibly unique, and have individual toes for you to slip into. It’s like wearing nothing, but with traction, protection, and quick drying properties. There are a ton of Five Finger models, but the KSO is the most versatile, providing great support, stability, and grip for an incredibly lightweight sandal (4 ounced per sandal!) If you want the barefoot experience, want to keep your toes free, and love keeping dust and grime out of your feet, the Vibram KSO is place the to start. Read the full Vibram KSO Five Fingers review! The Vibram KSO Five Fingers are the classic, time-tested barefoot finger-style shoes. They are not like other sandals, or other footwear. There is a place for each of your toes, and they mimic a nearly-barefoot experience. This is a unique and popular type of hiking sandal, and if you’re interested in barefoot running or hiking they are worth considering. The Keen Clearwater CNX is a much lighter version of the Newport H2 sandal, which made Keen the massive shoe brand it is today. The Clearwater is a rugged closed-toe sandal made for hiking in wet terrain. It has serious toe protection and the polyester webbing is durable. The simple lace closure allows for a comfy or tight fit, and the shoe is made of PFC-free materials. The Merrell All Out Blaze Sieve is the hiking sandal that’s most like a shoe on this list. It’s built with a rugged Vibram outsole, a UniFly EVA midsole, and a generous toe closure that provides serious protection. The sandal has a neoprene bootie that covers most of the foot, and leather strips for the upper. There are small holes around the heel and the sides of the foot to let water (and air) in and out, but it’s a much more “closed” experience than most other hiking sandals. The bungee lace system is simple to use, and it’s very comfortable if you want a breathable, water-ready hiking sandal. The outsole could have a bit more traction, and the design implies ruggedness, but you’ve still got open holes that allow anything into your (usually bare) feet. The LUNA Sandals Mono 2.0 sandals are one of the first true barefoot sandals designed in the huarache style, specifically for long distance trail running. The brand was born (ironically) from the book Born to Run, and now makes excellent sandals that work for ultralight backpacking, trail running, and walking around town. The Mono 2.0 is a slim, minimal, grippy sandal designed to go far and let your feet be as natural as possible. The adjustments are a bit hard to get the hang of, but once understood make for a highly versatile sandal. The KEEN Newport H2 hiking sandal is the flagship model for KEEN, and what launched the brand into the mainstream. The sandal is heavy, but incredibly solid. It’s known for the large and protective toe rand, its breathability, and the quality build, including a traction-focused outsole. Great for the campsite, walking around town, or any casual water-based activities. Very similar to the Keen Clearwater CNX, but heavier overall. The ECCO Yucatan sandals are a premier hiking sandal that can do almost everything, except water sports. The Nubuck leather uppers are a step above most other sandals in this list, and add a level of class rare for a hiking sandal. There are three subtle adjustment points to dial in the perfect fit, and a very supportive PU midsole for true hiking capability. The Yucatan’s are a flagship model for ECCO, and have the price tag to prove it. The sandal is fairly open, so your feet will breathe well, and it has a toe strap in the front instead of a toe-post, which some people prefer. Overall it’s an excellent sandal, and is great for hiking or city use. But don’t get that leather too wet! The Oboz Campster is a fairly new addition to the well-known hiking shoe brand. It aims to be a beefed up pair of Cros (another sandal on this list), and does that well. The Campster uses a solid Oboz sole for wet traction with airy, durable polyester webbing up top. This shoe is all about comfort, so the heel grip flips forward so you can wear it like a slipper, and it has zero adjustment points. While we wouldn’t take it on extended hikes, it’s a perfect around town or camp shoe, though it is a bit pricey for its use cases. 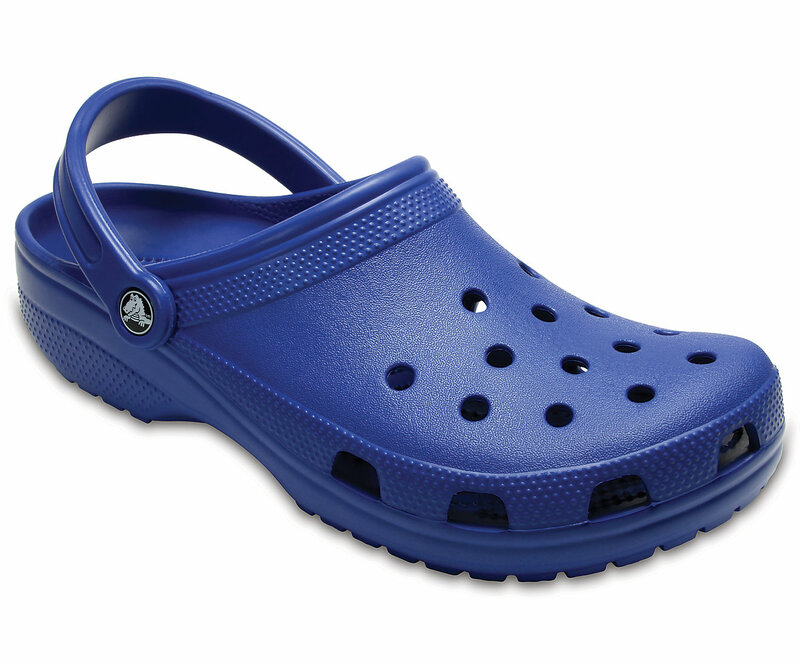 The Cros Classic Clog is one of the most recognized camp comfort shoes in the US. We don’t need to say much about it, as specs are light on this fairly cheap, floating sandal. It’s comfy, it’s easy, and it comes in a ton of colors. We wouldn’t hike in it, and it’s heavy these days for a camp shoe while backpacking, but for ease around a car camping site or the backyard it’s pretty perfect. And the price can’t be beat. What we mean by “types” of hiking sandals is how they perform for your general lifestyle, and specifically what kind of toe protection they have. We find this to be the defining factor in why a certain sandal works for some folks, and not for others. As you can see above, we’ve broken this down into four (and technically it’s five) general categories. From left to right: Closed Toe Hiking Sandals, Open Toe Hiking Sandals, and Closed Toe Casual sandals. This type of sandal is best for hot climates, sweaty feet, and those who want to get in and out of water frequently. Sand and dirt will not stay trapped in the footbed and the lack of a real upper makes drying times very quick (at least for our “best” sandals, not so much for others). These sandals also convert to casual use easily because they’re often easy to slip on. The main downside is toe and foot protection. With an open-toe hiking sandal you have to be wary of what sharp objects you may encounter, and your feet will get seriously dirty, especially on dusty trails. The upper is also usually just straps, rather than solid material, which means your feet are also subject to whatever natures throws at you. The Chaco Z/1 Classic is perhaps the most recognizable open toe hiking sandal. Let your feet breathe, and let the dirt in. The more protective cousin to the Open-Toe hiking sandal, the Closed-Toe models we list above are great for hiking, have excellent toe protection, and often have a more thorough upper that holds your foot while also protecting it. They are typically better for those who would prefer a hiking shoe, but need the open vents for a seriously hot climate, or seriously sweaty feet. This type of sandal also tends to be better with socks, and can convert to spring and fall shoes, if you dig that look. The downsides of the Closed-Toe hiking sandal are it’s just not as easy of an on-off experience of an Open-Toe, and it’s often a good amount heavier. Solid toe protection often means a more rugged upper, and that weight adds up. Finally, they’re a bit dorky. The KEEN models, for example, are often referred to as the “dad shoe”. Style is 100% subjective, so this is only a downside if it’s a downside for you. The difference between “Casual” and “Hiking” should be fairly obvious. We found that while most of the Closed-Toe sandals above excelled at hiking (not necessarily backpacking though), there were some we’d be hard-pressed to take on a real hike. This will depend on the person, the type of hike, and how strong their feet are. With that said, we found that the Closed-Toe casual shoes excelled in comfort, and were the best covered method of having a casual slip-on that could perform some hiking activity if necessary. Often, we’d wear this type of sandal around the house, town, and in a camping site. But not up to a peak. The KEEN Uneeks are unique (get it?!) Closed-Toe Casual sandals. They provide some coverage, let air out, and aren’t the best for hiking. This category is a bit unfair, because it’s really just Vibram Five Finger sandals/shoes that fit here, but they are prevalent enough that it’s worth noting. The finger shoe is like a glove for your feet — each toe has its own slot. This is really a shoe/sandal hybrid, because they are not open in any way. We have included them in the hiking sandals category because outdoor folks often look at these as an option when picking hiking sandals, mostly because they are lightweight, barefoot in their approach, and quite minimal. If you want full foot protection but need a barefoot feel, check out finger sandals. If you want to run as if you’re barefoot, check out the finger sandals. If you want to look like you’re from the future, check out finger sandals. Finger sandals are exactly what they sound like. You can grip flowers, bags, and rocks as easily as if you were barefoot. We’ll have a complete guide to the Best Flip Flops, so we don’t go into this category here. Flip Flops are a way of life, and arguably the most comfortable of any sandal for casual use. The above list does not include this category! Water sports, specifically rafting: Teva and Chaco reign supreme in the rafting world, and are the reason hiking sandals exist. Traction in wet environments is incredibly important, and you need your shoes to dry quickly. Hiking: It might sound obvious, but most of the sandals above excel at hiking. In environments that are warm, relatively bug-free, and don’t have dense underbrush, sandals are probably your best choice of footwear. Travel: We love lightweight, open-toe sandals for travel. They are typically light, fold up easily, or carabiner to a pack in an instant. Throw them on when the weather is right, or use them occasionally for a change-up in footwear. Wearing one pair of shoes for an entire trip is not ideal. Urban: It really depends on your city, but hiking sandals are an excellent way to explore secret stairs, paved streets, or in-city peaks. Backpacking: Only some models excel at backpacking, and even for those you need strong feet. But once you’ve made the switch, it’s like your feet are free! This takes practice, and, of course, depends on climate. Camping: Hiking sandals are a great camping shoe. While flip flops may be technically better (and what we recommend as a camp shoe when backpacking), with car camping you don’t have to worry about weight. Bring your hiking sandals for day time, water activities, and that inevitable day hike. Cozy up in socks at night, and throw on your real shoes if you have to. The sole is the soul of any hiking sandal. The main difference between a flip flop and a hiking sandal is the tread and grip-ablity of the sole. Vibram is still the most common sole found on most hiking footwear, whether it’s sandals, hiking shoes, or hiking boots. Many of the hiking sandals on this list have a Vibram sole, and we find they are excellent for traction, in and out of water. That said, Keen, Chaco (recently), and Teva are three of the largest hiking sandal companies, and all use their own, in-house sole. They are all excellent. On the left, the rugged hike-ready sole of the Chaco Z/1 Classic. On the right, the more mellow (yet very supportive) sole of the KEEN Uneek. Know what your sandal is capable of. A key trait to look for in a hiking sandal’s sole is the lug pattern, which will determine how well it sheds dirt and mud, and how well it will grip on slick, rocky surfaces. You’ll also want to look at the flexibility of the sole. Some hiking sandals are firm but totally rigid — if that’s your style, Chaco and KEEN are best bets. Other hiking sandals have a very flexible sole, which moves with your foot and offers basic support — like LUNA Sandals and Bedrock Sandals. While the sole helps with hiking and traction, the straps, webbing, and uppers of any hiking sandal are typically associated with comfort. This element of the sandal is often why people gravitate to the one brand or another. Some folks cannot deal with an exposed sandal, and therefore gravitate towards KEEN, Merrell, or ECCO. Others refused to have a sandal that is almost as clunky and heavy as a shoe, and need their feet open to the air — those typically head straight for Chaco or Teva. These are the largest hiking sandal brands, and while they have excellent models, we’ve found that some of the smaller, more backpacking-oriented brands, like Bedrock Sandals and LUNA Sandals, make excellent all-around sandals that will work for any activity. People are often very specific about how they want their toes to be held in a hiking sandal. Some must have a thong-style hold, which is most like flip flops, and called a “toe-post”. Of the sandals on this list, Bedrock Sandals and LUNA Sandals are the best for this, and will retain that flip flop toe feel while letting you trek deep into the woods. Bedrock Sandals uses a toe post in their hiking sandals. This takes after flip flops — but these are most definitely hiking sandals. Many are fine to let their forefoot be without a specific strap — this means there’s nothing stopping or holding your toes. Chaco, Teva, and to a degree ECCO have many sandals like this. Yet Chaco has models with the “2” classification (like Z/2 Classic), that include a small strap for your toe. This gives support like a toe-post, but isn’t actually the same mechanism. Finally, the closed-toe shoes provide a more traditional toe hold, one that you’ll find in shoes and boots. This is perhaps the most natural feeling (for some), but also assures your feet will not breathe as well as the other kinds of toe holds. Pro Tip: Go to a store that carries all types of models, and try each one. What feels the best in terms of toe hold and grip? Do your toes like a toe-post, very little support, or full coverage? The hiking sandals on this list use a variety of materials for the straps, webbing, and upper — everything from nylon and polyester to leather. While all of these work, we think it’s best to consider on-skin comfort and use-case. Do you like fewer materials that are close to the skin? Go with an open-toe hiking sandal, like Chaco, Bedrock Sandals, LUNA Sandals, or Teva. Do you want thicker materials, and maybe even leather, covering the majority of your foot? Go with KEEN, ECCO, or Oboz. The upper materials of the KEEN Uneek and Chaco Z/1 Classic are very different. The Chaco is much more indicative of hiking sandals, which use some form of polyester straps, and are usually minimal. 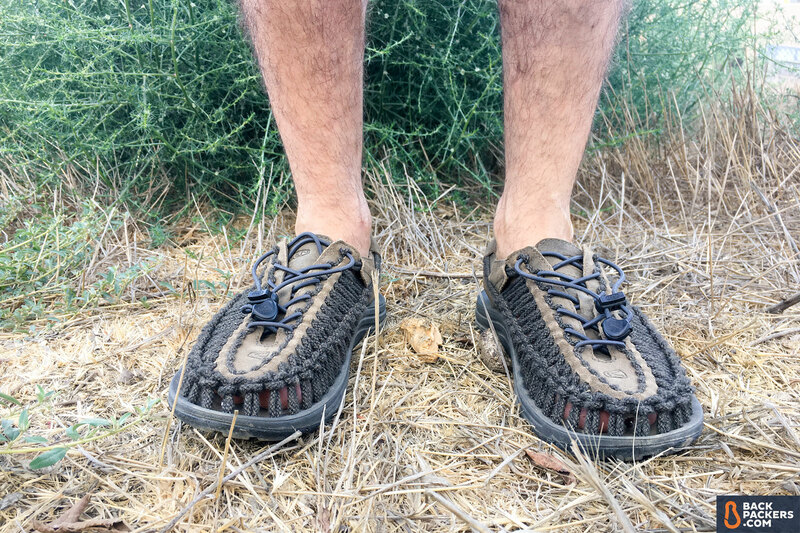 Most other closed toe hiking sandals use firmer, thicker materials, but they’re not quite the same as the Uneek’s unique polyester braided cords. Keep in mind that if you plan to get your feet (and sandals) wet often, having thinner, quick-drying materials like polyester is best. Whereas if you want to wear your sandals to work, or out at a bar, leather and some beefiness adds a nice touch. One sandal, aptly named the KEEN Uneek (pictured above), has a surprising upper that’s composed of polyester braided cord and microfiber. It feels like a slipper or light shoe, and hits an interesting mid-point of all the above attributes, but doesn’t excel at any of them. Hiking sandals are not incredibly complex to buy, unlike hiking boots, which take some serious understanding. In general, if the footbed fits your feet, your toes aren’t hanging off the edge or totally engulfed, and the type of midsole feels good, you should be good to go. Take the features above into consideration, and really think about your activity — what do you want to use this sandal for? If the hiking sandal has a system to secure it to your foot, make sure that’s comfortable, easy to use, and feels good. On some models, or in some brands, a pressure point may be uncomfortable due to your foot shape or size, and the straps will rub in the wrong way. Look out for this, but otherwise it’s pretty easy to quickly tell if a sandal feels good or not. For footwear we always recommend trying on in store. And for sandals, you should probably do that too. That said, hiking sandals are probably the piece of footwear you have to be least concerned with. If you know a brand, or even a model, fits you well, it’s fine to purchase online. Sizing is important, because not all sandals come in half sizes, and you may have to decide to size up or down. Some outdoor items are fine used — backpacks, tents, headlamps, to name a few. However, footwear is not the best category for used goods. Unless they are in pristine condition, we don’t recommend buying used footwear. That’s even truer for sandals, because whoever wore it before you probably sweat directly into the shoe, which, despite frequent washes, still constitutes a very “used” feeling. Try to buy new, or pristine used, when it comes to hiking sandals. Hiking sandals were invented as a water-sports solution to footwear — people needed traction in wet environments, and Teva and Chaco were born. That was 30+ years ago — these days hiking sandals are an everyday footwear category, especially for summer and on college campuses. KEEN is one of the most popular outdoor shoe brands in the world, and that’s largely due to its flagship model, the Newport H2, an ultimate casual, hiking, BBQ, camp, beach, around town, and on-campus sandal. What we’ve seen in the last decade is the rise of backpacking sandals — open-toe traction that’s so breezy and barefoot yet durable that minimalists and ultra-runners are taking them on long treks. LUNA Sandals was the first major breakthrough in this field, and Bedrock Sandals are a newer company that strives for a very similar thing. A hiking sandal that can backpack deep into the wild and serve as your backyard BBQ footwear is hard to beat, and they last a very long time. 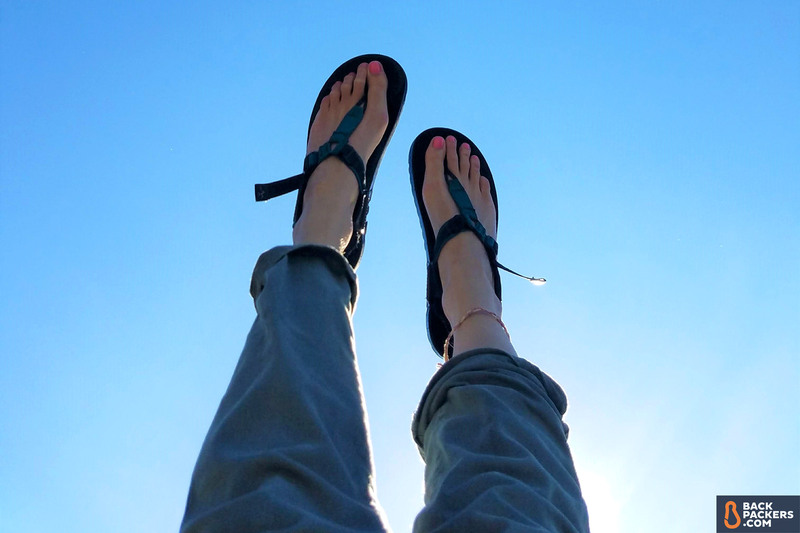 We love hiking sandals, and feel everyone should have a pair!